Yokohama is a historical port town with a port that was opened to foreign countries over 150 years ago. There are many touristic places to go in Yokohama. 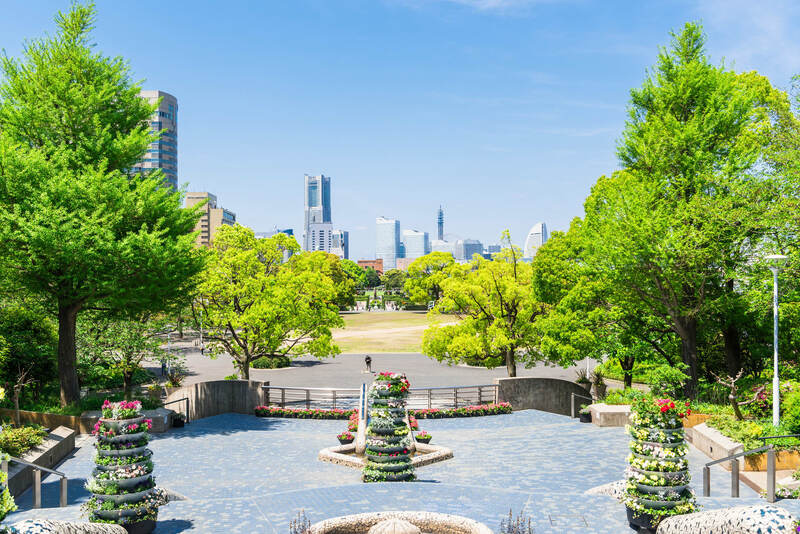 For example in Minatomirai there are amusement park, art museum, and many buildings from where you can enjoy astonishing view, and in Yamate area there remains old town that still has the atmosphere of the time when Yokohama opened the port. In this article we will introduce you to some recommended places to visit. 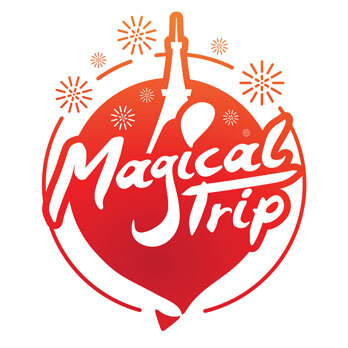 It takes only 40 minutes from Tokyo metropolitan area. If you take train of Tokyutouyoko Line, you don’t even need to transfer. How about going on to Yokohama? Yokohama developed rapidly since they had opened Yokohama Port. There still remain some buildings that have the atmosphere of the history since opening the port. That is one of the appearing points Yokohama has. The areas you may want to visit are “Yokohama Station Area”, “Yamashita Kouen Park Area” that commands a view of Bay Bridge, “Minatomirai Area” where you can go to some skyscrapers to see fantastic view, “Kannai Area” with many historical buildings, “China Town Area” that is counted as one of 3 biggest China town in Japan. It would be fun just to walk around the port town being exposed to the sea breeze. Take Keihintohoku Line train and Get off at “Kannai Staion”, then walk. It takes about 45-minutes. Take Tokyutoyoko Line train and get off at “Yokohama Station”. It’s takes about 45 minutes. Take Keikyukuuko Line and transfer at “Keikyu Kamata Station” to “Yokohama Station”. It takes 30 minutes. Yamashita-koen Park was opened in 1930. This is a romantic park where you can see Bay Bridge and the port. There are many monuments inside the park such as “Stature of Eater Guardian”, that was sent from Sandiego, US, and “A Gil with Red Shoes” that is famous in Japan for the same name children’s song, with the lyrics about a sailor of a sea mew. You would see the history of Yokohama from those monuments. Also, this park is famous for it’s rose. Every year many people come to see the rose in the spring and autumn. Rose becomes in their full glory in those season on the flowerbeds, so it would be better to visit in the right seasons. Minatomirai is a good town for having a stroll. There are amusement park, art museums, good restaurants and shops, and lookout point with fantastic scenery. You can also have unique and interesting experiences here. For example, at Cup Noodles Museum you can make your original cup noodles, at Yokohama Red Brick Warehouse, there are various events from food festival to music concert each season, and you can also enjoy great view from the lookout point of Yokohama Landmark Tower both at night and noon. Minatomirai is a place that is full of fun! After Yokohama port was opened to foreign countries in 1859, many foreign settlements and foreign consulates were also built in Kannai area. 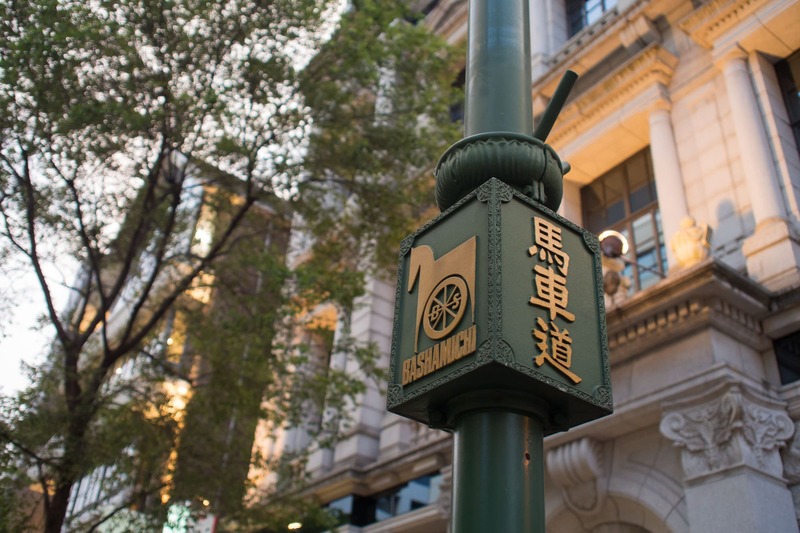 The reason why there is a area named “Bashamichi”, that literally means “a road of a horse drawn carriage”, is that many foreigners who came to this area would bring their horse drawn carriages and came and went through a road that was made in 60 feet across for them to go by the horse drawn carriages. So the area through Bankoku-bashi Bridge to Yoshida-bashi Bridge gateway is called “Bashamichi” now. Because at that time various Western culture was adopted in this area, you can still see many historical buildings with the atmosphere of those days. If you want to know the beginning of Japanese Western style, let’s visit this area. 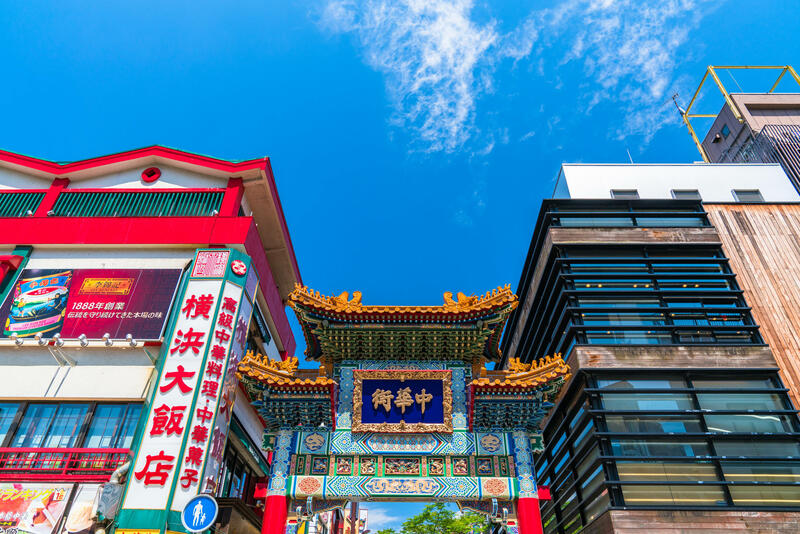 Yokohama China town is counted as one of the 3 biggest China town in Japan. There are over 600 restaurants. Many tourists come to enjoy Chinese food here. The unique gates you will find everywhere are called “Hairou”, one of the Chinese traditional construction styles. Other than this photogenic gorgeous gate, there are many place to visit such as “Kanteibyou”, to which an actual military commander Guan Yu of the Romance of Three Kingdoms is dedicated, and “Masobyou” to which the God of voyage and other various Gods are dedicated, and “Yokohama Daisekai”, a 8-story entertainment building. 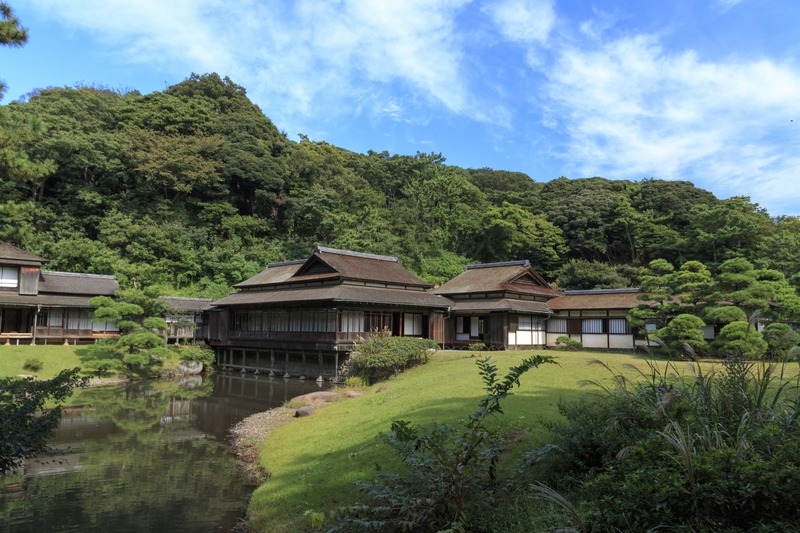 Sankeien is a garden with historically important buildings transferred from Kyoto and Kamakura. Those buildings are well arranged. There are 10 important cultural properties and 3 Yokohama tangible cultural properties in the premises over 175,000m2. While Hara Sankei, who made the vast land “Honmoku” where you can see Tokyo bay, was alive, this garden was a place to support and bring up gifted and spirited artists. Honmoku is an area in southeast Yokohama. There are many famous masterpieces of modern Japanese painting created in this garden, such as “Mikoshi-buri” by Maeda Seison, “Ryuin” by Yokoyama Taikan, “Jakuhoushi” by Shimomura Kanzan. ≫See more details of Sankeien and Honmoku. Place to Visit in Yokohama! Let’s participate in a walking tour with Kimono on at several touristic places in Yokohama! You can choose your favorite Kimono and they put them on you. 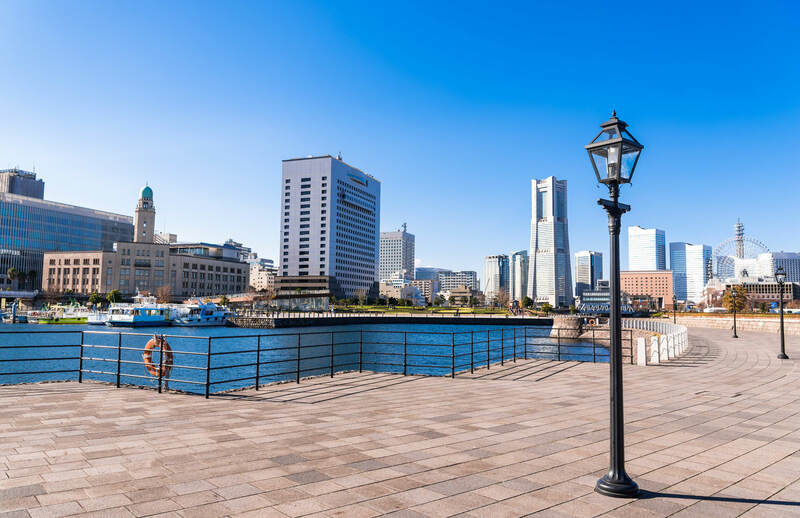 A guide introduce you to a place where still remains an atmosphere that Yokohama used to have when they opened the port to foreign countries. Of course Sankeien is included! How about taking picture with kimono on in Yokohama, that has various good photogenic places?